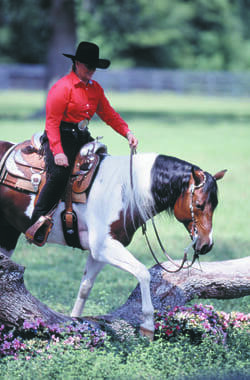 Quarter Horse breeder, trainer, rider, judge and clinician Lynn Palm has given her life to horses. Along with her many accolades, including 34 World and Reserve Championships and the 2006 AQHA Professional Horsewoman of the year, Lynn has helped countless horses and riders through clinics and expos. 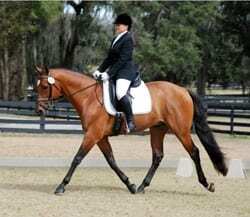 Lynn brings the basics of dressage to her training and teaching for all disciplines, including all around multi event show horses, hunters, dressage and recreational trail horses. And Lynn knows that a high performing horse that also glows with health starts on the inside. We had a chat with Lynn to see how her horses were doing on SUCCEED. Here’s what she had to say. I’m not a big supplement feeder. But when Freedom Health explained to me that SUCCEED is for the wellness of the digestive system, I used my common sense. I thought it had to be something interesting. I tried it on three horses to start, and after two months I saw an incredible difference in all of them. They all really bloomed. As a horse trainer, it’s just as important to develop a horse’s body as it is to educate it – especially in the development of the topline muscles. The main benefits I see from SUCCEED are in body condition, weight control and muscle development. Plus they just shine with dapples. I use SUCCEED in SmartPaks, especially when I’m traveling, because they are convenient and the best way to be consistent. SUCCEED will do the most for your horse when you are consistent. I recommend SUCCEED to everyone I can for horses who need that extra bit of bloom, or especially for those who have been de-wormed appropriately and are on a good feeding program but are still light in weight. I have great feelings knowing that my horses have the extra good health using SUCCEED. It is a supplement I will always use.